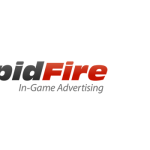 Vancouver, BC – May 27, 2014: RapidFire, the #1 in-game advertising network, announced today the acquisition of IGA Worldwide’s proprietary technology for delivering real-time advertisements inside of video games. IGA Worldwide’s technology, known as the Radial Network™, enables brands and advertisers to reach gamers playing AAA game titles across console, computer, and mobile video games. 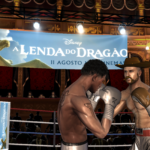 Advertisements are streamed in real-time inside of a video game’s 3D environment on objects such as billboards, hoardings, buses, and posters – essentially any object where a gamer is likely to see an advert in real life. 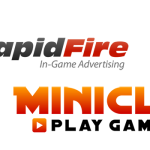 As part of the deal, RapidFire will take ownership of the Radial Network™ ad servers and software development kits (SDKs), and will immediately replace the pre-existing RapidFire in-game ad serving technology. “I am very happy that with Jordan and the RapidFire team, we have found a great successor who has the passion and capacity to bring in-game ads to the next level” says Christian-Alexander Vry, Director at IGA Worldwide Ltd.